On page 98, Four Dimensions the names are incorrectly spelled, Frank Malone should be Milone, and Capallino should be Cappolino. Thanks Frank. I had to rely on people’s memories from several decades ago, and some of those people didn’t spell well in the first place! I hate it that some names were misspelled, but there just wasn’t any way to double check some of them, back in those pre-internet days. If you would like copies of the final NYC Bougalieu recordings from 1969, let me know. Aquarian Age and Of Thee I Sing. Hi Walter, I managed to get them both a few years ago when they were available on-line. Thanks for the offer. the best work by jeff. i added my memories which he graciously included. 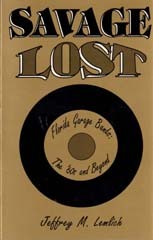 a great work by a miami, s. fla. historian. thank u , jeff!!! craig from the rockerfellas.